3D printed plastic (PLA) partially transparent necklace. Do you need a chain too? You can order many kinds of custom jewelry from us. Please send your idea through Custom Design. 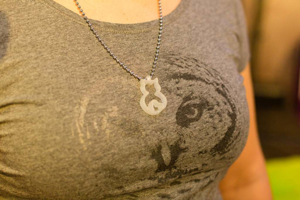 You can also order this lovely cat necklace first and evaluate if 3D printing would work for your own idea too.